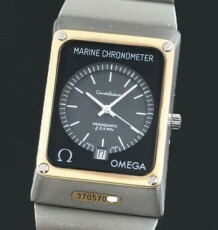 Hard to find vintage Omega monopulsante chronograph. Issued by the Royal Canadian Air Force, these single button chronos are sought after by military collectors around the world. 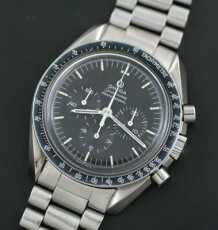 This over-sized Omega Chronograph is a real military collector’s item, and very hard to find. The watch was produced specifically for the Royal Canadian Air Force (RCAF) and has all the proper markings inside the case and out. 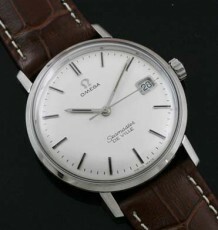 The Omega calibre 2221 movement has the hack feature where the movement is stopped when crown is pulled out to allow for precision setting required for military use. 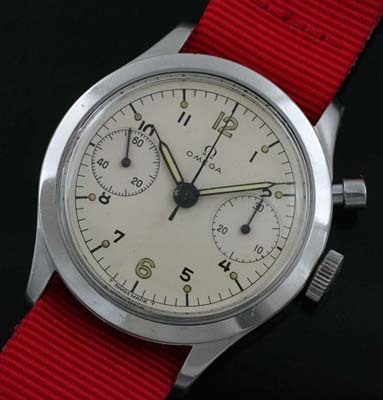 The Omega single button chronograph movement shares much of its design and rugged reputation with the Lemania movement used in the Royal Air Force (RAF) Chronographs. The watch is all stainless steel. 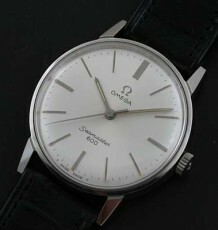 The dial is in superb original condition. This model was not produced for public cinsumption but rather a special order by the RCAF. The watch is fitted with a new red nylon NATO strap, looks very Canadian eh?. The case measures 38 x 45 mm, not including crown.